• Sackatoga Stable’s Funny Cide blasted down the Pimlico stretch to win the Preakness Stakes-G1 by 9 3/4 lengths (the second largest margin in the classic’s history) and headed to Belmont with a Triple Crown on the line. The New York-bred gelding, trained by former steeplechase jockey and Maryland trainer Barclay Tagg, had surprised in the Kentucky Derby-G1, getting the win over favorite Empire Maker. 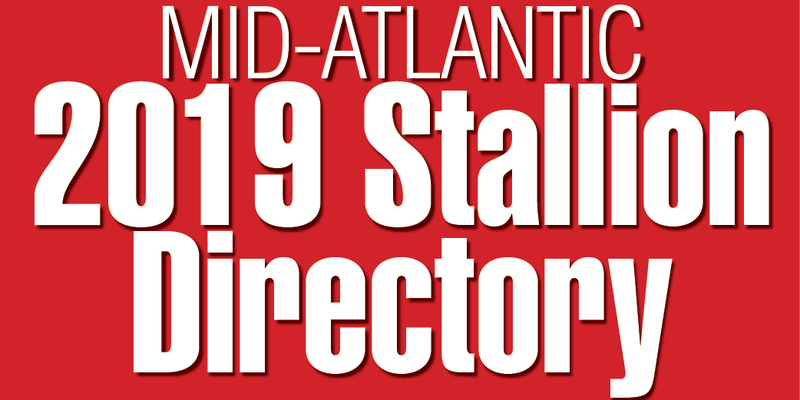 • Maryland-bred Eclipse Award-winning sprinter Smoke Glacken had two offspring in the Fasig-Tipton Midlantic 2-Year-Olds in Training sale. His son, a bay colt consigned by Niall Brennan Stables, agent, topped the sale at $320,000; his daughter was the second-highest priced filly (and third most expensive overall), with Kirkwood Stables, agent, selling her for $155,000. 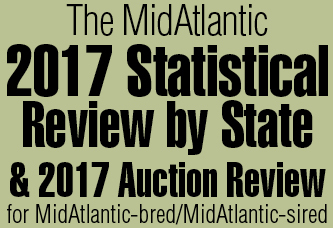 It was the largest 2-year-old sale in Maryland history, as 322 juveniles sold for a record $9.8 million. The sales-topper, a New York-bred colt out of the Al Nasr (Fr) mare Baydon Belle, posted what was believed to be the fastest 3 furlongs ever recorded at Timonium?–?:33.20. His time broke the record set by Smoke Glacken at the same sale seven years earlier. The sales-topper, Read the Footnotes, had a meteoric career–he was a stakes winner by year’s end, winning the Grade 2 Remsen and Grade 3 Nashua Stakes, and took the Grade 2 Fountain of Youth Stakes in his first start at 3. He retired after finishing seventh in the Kentucky Derby-G1 with a record of five wins in eight starts for earnings $450,660. Thirteen 2-year-olds sold for six figures at the sale, among them another New York-bred, future Grade 1 winner Behaving Badly, plus graded stakes-winning sprinter Tiger and Maryland-bred stakes winner Richetta. • The Pimlico Special-G1 returned after a one-year hiatus, and the royally bred Mineshaft proved all class, winning impressively by nearly 4 lengths over the sloppy track. It was the first Grade 1 win for the 4-year-old son of A.P. Indy owned by William Farish, W. Temple Webber Jr. and James Elkins. Trained by Neil Howard, Mineshaft was the final of five foals–all stakes winners–out of Mr. Prospector’s Grade 1-winning daughter Prospectors Delite. Raced through the end of September before retiring, Mineshaft added three more Grade 1 wins. He earned the Eclipse Award for Horse of the Year. • Country Life Farm’s young stallion Malibu Moon got his first winner when Annabelle Stute and The Hat Ranch’s Perfect Moon scored at Hollywood Park May 14 in a 4 1/2-furlong maiden for $40,000 claimers. It was the fourth start for the precocious 2-year-old gelding, who made his debut at Santa Anita in March, but his first outing beyond a quarter mile. Mel Stute, who had trained the lightly raced Malibu Moon for B. Wayne Hughes, purchased Maryland-bred Perfect Moon for $4,700 at the 2002 Fasig-Tipton Midlantic Eastern Fall Yearling sale. Perfect Moon was bred by Mr. and Mrs. Hugh J. O’Donovan out of their Parfaitement mare Perfectly. • A special benefit showing of the new movie Seabiscuit: an American Legend, based on Laura Hillenbrand’s best-selling book, was to be held at the historic Senator Theatre in Baltimore in late July, prior to the movie’s world premiere.